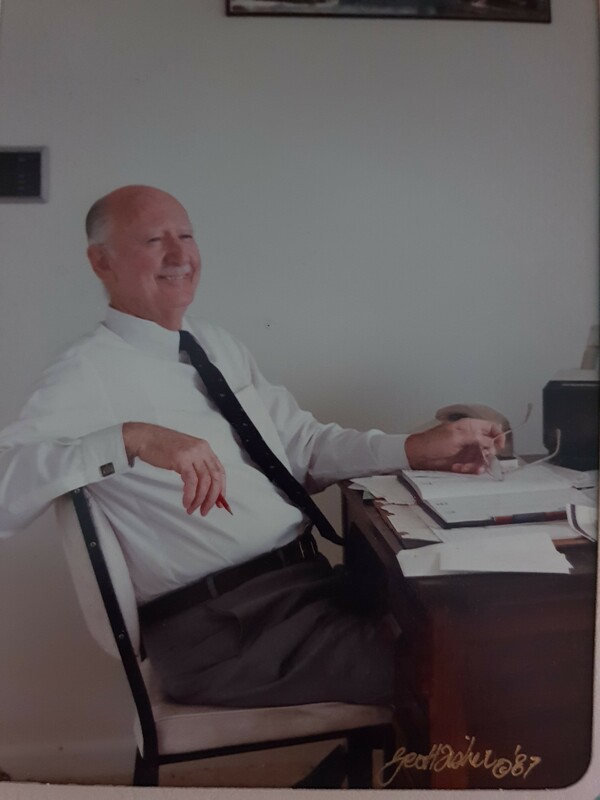 13 September 2018 marked the 30th anniversary of the passing of John Crane Hickman, my Father, who, for many years, was a key figure in the Northern Territory business community. Fulfilling key many roles such as (Chairman of Channel 8; owner of Darwin Cold Stores and Hickman Distributors (the latter since 1957); the first Governor of Apex in Darwin; founded the first blood bank for the Darwin Red Cross and setting up joint fishing ventures with Japan and Thailand and Honorary Consul to Finland and Sweden and helping to rebuild Darwin following Cyclone Tracey to name but a few).He also served with distinction in World War Two in Darwin as well as Rabaul on the island of New Britain, New Guinea. While that is a long time ago, the years do not diminish the love, pride and happy memories my Mother, Dallas Hickman (who he married in 1971 in Perth), and I feel every time we think of him. Only the other day we unearthed photographs we had not seen in a long time which brought those memories flooding back, as I do each time I visit Hickman Street in Darwin, on which his company, Hickman Distributors, used to operate. I know many other families have similar experiences with loved ones. Of course, memories of loved ones live on in others. To cite a famous quote "you know, they're never really gone, as long as we remember them". My Father is no exception in that regard, having made a positive impact on so many lives during his lifetime. Two such lives are those of Patrick (or Paddy, as he is affectionately known) McLean, a former fisherman and skipper of my Father's prawn trawler, the Taroona, and Khun Wicharn Sirichai-Ekawat, former Thai Senator and former Chairman of the National Fisheries Association of Thailand. They both had, like a number of others, a business relationship with him which evolved into a close friendship. In 1965, I was a Barramundi fisherman. I first met your father - Mr. John Hickman through selling my barramundi to him. On a trip to Fog Bay, I observed an enormous amount of banana prawns. Having only a smaller boat myself, John financed me with a prawn trawler. We became very successful in the prawning industry. Working together for over 15 years, we became more than just Business partners, we became very close friends. I have the upmost respect for John. I will remember him as a smart but honest man in business and found him to be fair in all aspects of life.John Hickman was one of the finest men, if not the finest man I have ever had the pleasure of knowing closely. The time has gone so quick. I have just learnt than Khun John Hickman has left us 30 years now.To me, he is always in my mind. Whenever I think about Australia or Darwin, Khun John's picture always pops up in my mind. When thinking about him, I always think about a gentleman with shorts. I still remember the first time we met at his office, Northern Research Pty Ltd. He was always very kind to me and giving ideas and experience on fishing operations. He gave his full advice. In fact, he was the one who gave me the opportunity to be a partner of the Seanorth Pty Ltd and to continue my fishing operation in Darwin. Time flies away 30 years, unbelievable, but memories stay forever! The absence of him can never be compensated. I pray he is in heaven as happy as can be. I am sure that all of us miss him more than I could ever express. On this occasion, I would like to share feelings on remembrance of Khun John 30th anniversary of his departure. I hope that he will stay in our mind forever. No matter how much time passes, memories of my Father remain dear to my Mother and I and we continue to feel so privileged to have spent the time with him that we did. I would welcome contact from those who knew my Father and can be reached via email.